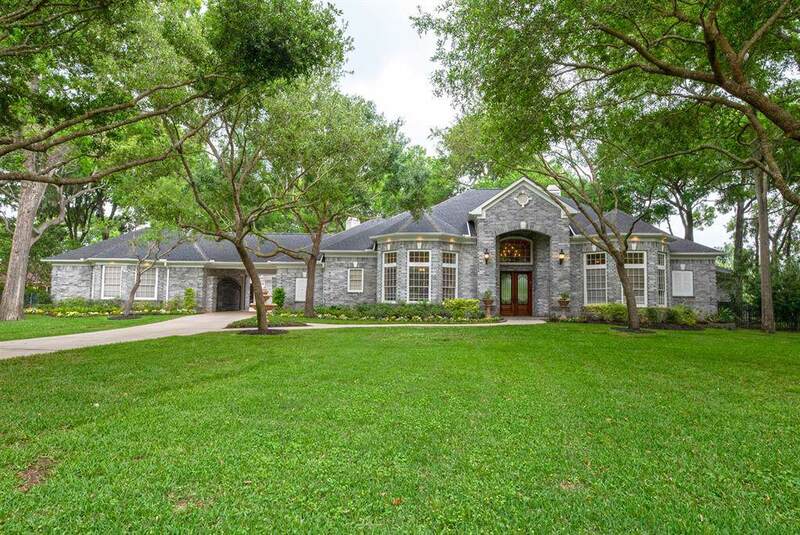 Custom Strobel built home situated on prime 1.5 acre lot. 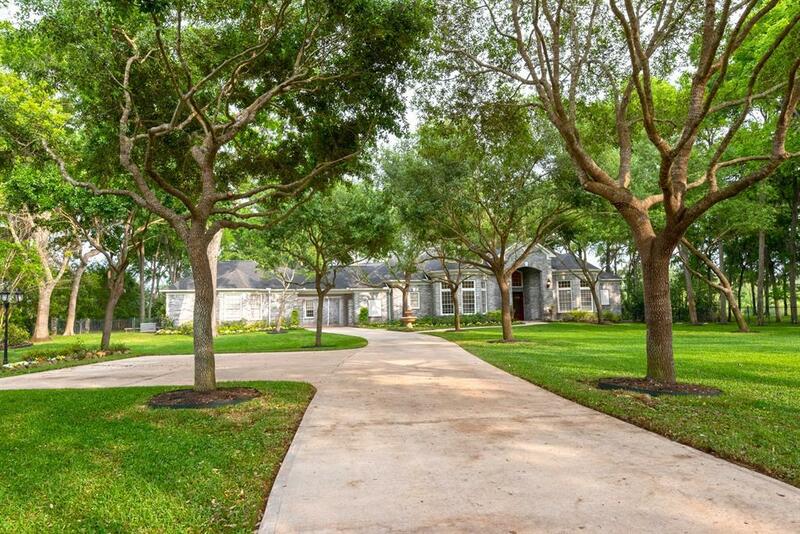 Private electronic gated entry to impressive manicured grounds. 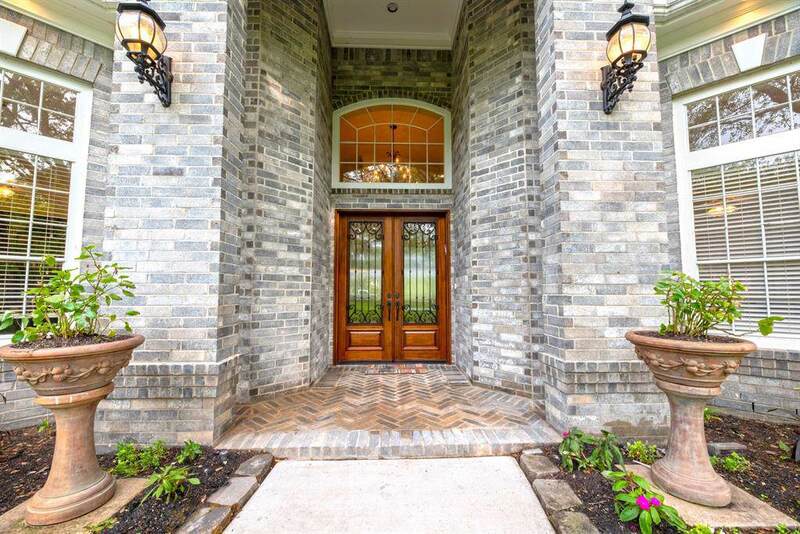 Rambling 1 story features upgraded stone flooring throughout. 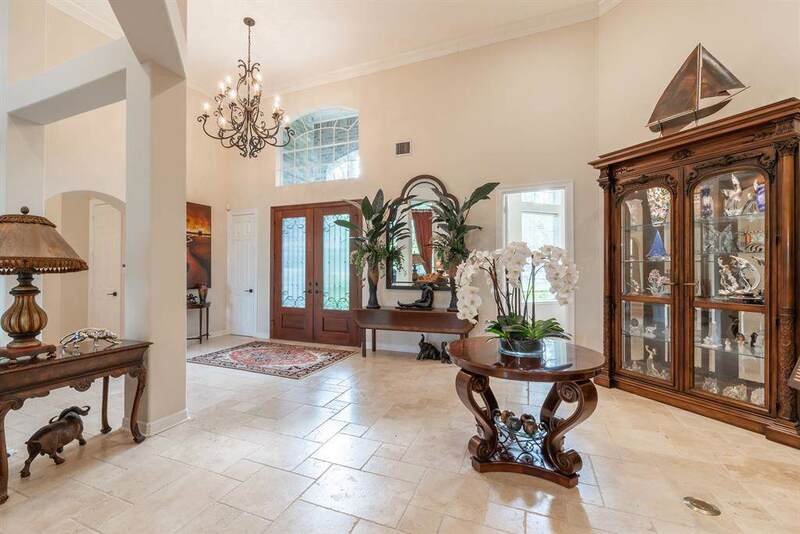 Grand foyer with 16' ceilings with architectural detail. Island kitchen has a stainless steel Thermador 5 burner gas cooktop, 30" oven in the island, replaced triple oven which includes 27" oven, warming drawer and a microwave. And a newer built in 48" refrigerator. Open den with built ins and one of three fireplaces. Exquisite master suite with elegant master bath. his and her sinks, garden tub and walk in shower. Study with private bath and built in book shelves. Flex room off of the master. Extensive covered patio. Wrought iron fencing surrounds the home. Sprinkler system front and back. Resort style backyard with pool backing to the Brazos River. Don't miss the rare riverfront opportunity.